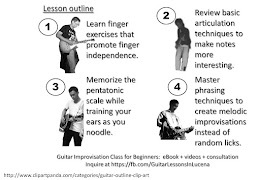 All you wanted was to learn the guitar to impress your friends. Yet, several guitars and upgrades later, you are still looking for the one that will end all purchases. The search simply never ends. G.A.S. is defined as Gear Acquisition Syndrome. It is a communicable disease among guitarists. The more you listen to those afflicted with GAS, the more you are likely to be one of them. The more you read what people buy, the more chances you are to believe that your current gear need an upgrade. Beginning guitarists will choose a guitar that looks cool to them. Without expert assistance, they would not care for plywood or a solid wood body, a single coil from a humbucker, or a Fender from a Squire. They will buy a guitar they like, play with it, and simply enjoy it. The Internet has brought together guitarists and collectors not just from your locality, but also from those around the world. Suddenly, that cool guitar is not great anymore. You need to buy a custom guitar from a highly regarded luthier if you want the best tone because they say so. You want to swap your pickup with the highly recommended boutique pickup you read from the forums. You want that highly rated and very expensive amp that the rich kids enjoy. Even your expensive cable needs to be changed with an even more expensive one. The Internet is like an apple. Eating the apple makes you realize that you are naked. Can you hear your guitar? To get the best tone possible, you have to upgrade all the gears in your guitar signal chain. Are they worth the price tag? Will you risk bringing that expensive rig to a small gig? Your guitar will probably be drowned by the other instruments in your rock band. Vocals will be given priority by the sound engineer when playing live. The only time you can really hear the nuances of your guitar is when you are playing alone. To the majority of guitarists who cannot afford the associated expense, there is a way to control GAS. You have to accept the fact that the search for the best tone is endless. You have to know when to stop. That threshold is defined by your budget. Set a budget for your gears and do not exceed it. Find the best gears within your budget. Sell existing gears to get new ones. Experiment, but always maintain your gear budget. Most of all do not be swayed by the opinion of others who can afford a higher budget. Remember that you did not buy a guitar so you can hear yourself play. You bought a guitar so people can hear you play good music. To the audience, your guitar skill is more important than your tone.